Jitendra offers a discount of 25% on their first / introductory lesson! I am a MSc. student in Maynooth University studying Data Science and Analytics at partial scholarship. My current course is mix of Statistics and Computer. I am logical thinker and have almost 3 years of experience as Market Research Analyst before my MSc which was again playing with numbers. 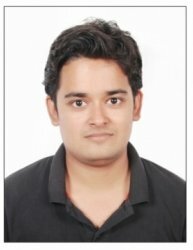 I have scored 99%, 94% and 88% in my maths, physics and computers for class 12th which is equivalent to High school. I scored quite good in other subjects as well. I have tutored my juniors during my school time and college time during summer and holiday break. I have been studying and teaching maths for most of my life. I have also tutored online. Given the opportunity, I would definitely be good tutor to fellow student. I am a very patient guy and would teach according to requirement of the student. I am flexible according to requirement and recommendation of the student and family and can start any topic. I am flexible to teach online or to visit student's home. Reply from Jitendra: Thank you Paul for the positive feedback. Aaron is a great student. JitendraFrom Khalid (5/5): (Senior Cycle Maths) Jitendra is a highly professional and skilled teacher. Knows how to teach and makes maths much easier while teaching. Reply from Jitendra: Thank you very much for positive feedback, really appreciate it. JitendraFrom Eddie (5/5): (Junior Cycle Maths) Jitendra has been highly educated at Maynooth University. He speaks perfect English. He has a talent for helping young people understand and solve maths problems. He is always prepared and organised and is a really pleasant and likeable person. He helped my son improve his maths grade from D at Christmas to B in the junior cert. I thoroughly recommend him. Reply from Jitendra: Thank you very much Eddie for the glorious review, really appreciate it. Ethan has been a very good student. Reply from Jitendra: Thank you very much for the feedback, really appreciate it. Reply from Jitendra: Thank you. JitendraFrom Slav (1/5): (Primary Computer Skills) Jitenra had no experience with the kids as young us our son in the past and he couldn't offer course that would suit him at all, even though it was clear said on request that child is 10 years old, spend 5 mins appologised for misunderstanding, he offered his friend who teaches similer subject,When thw other tuter came in same story,our son couldn't follow him. 15 euro got spend with no results what so ever. Left very **Web Address Removed** should have a way refunding money after unsuccessful first/trail lesson. Reply from Jitendra: Hello, I am sorry for negative experience. This is not true that I don't have teaching experience with 10 years old kid. You asked me to tutor Python and given that Python has variety from web development to data analysis, misunderstanding happened because of that. I thought that since the kid is 10 years old, you would need to start with introduction to Python but you asked to start somewhere in between. Regarding my friend's experience whom I send so that he would help, again sorry for bad experience there. But my friend told me that he was there for about 15-20 minutes and you were there sitting the whole time and keep interrupting him, so his flow broke. I think 20 minutes is pretty less time to judge someone's ability. You gave 3 stars before and then changed to 1. I tutored 6 students before and this is the first time I got negative feedback and this review will of course affect flow of my incoming students but I take that as an lesson and be more emphatic and understanding before accepting a request. Now I understand that student and tutor should have compatibility and there should be mutual understanding so I think it should have been more than 1 session with my friend. Anyway, I hope you find your suitable tutor but I still think that 1 star is unfair. Reply from Jitendra: Thank you. You are quick learner.